If your home’s siding is a more conventional hue, you can punch up your East Coast exterior with a bold door color. When the usual black or brown door feels too basic, personalize your entrance with a door color that pops, all while complementing your home’s siding and trim colors. Selecting complementary shades can take some time, but if you go with James Hardie® products with ColorPlus® Technology, you’ll have an array of well-curated palettes with finishes that resist fading and last longer than a typical paint job. ColorPlus Technology is specifically engineered to help resist damaging UV rays, which means vibrant colors with less maintenance—and a bold accent door that’ll continue to wow and welcome guests as they walk through your home’s entryway. Here are a few homes sided with James Hardie products, which add personality to their address with a daring door color. Bright urbanite. 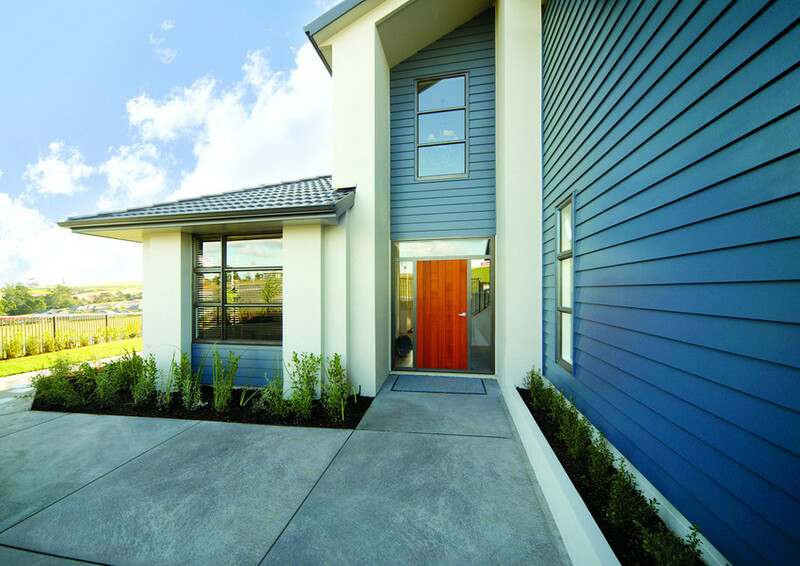 This city home is clad in HardiePlank® lap siding in Iron Gray and HardieTrim® boards in Arctic White. Both the white and gray are cooler colors, and when paired with another cool hue—the bright robin’s egg blue—the combination of colors adds to the curb appeal. Contemporary in carrot. 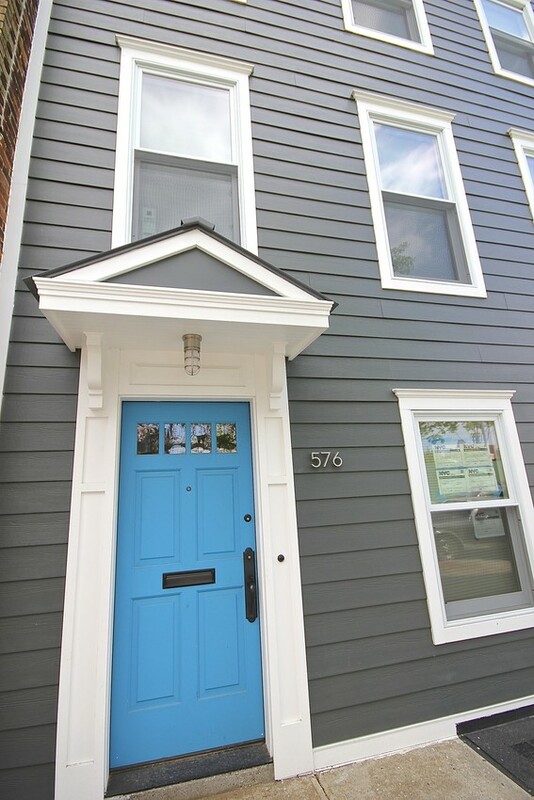 This modern navy blue home is clad in the Artisan® collection by James Hardie, known for its deep shadow lines and extra thick boards. The front door, boldly stained in orangey-red, is like a beacon, lighting the way into the home. 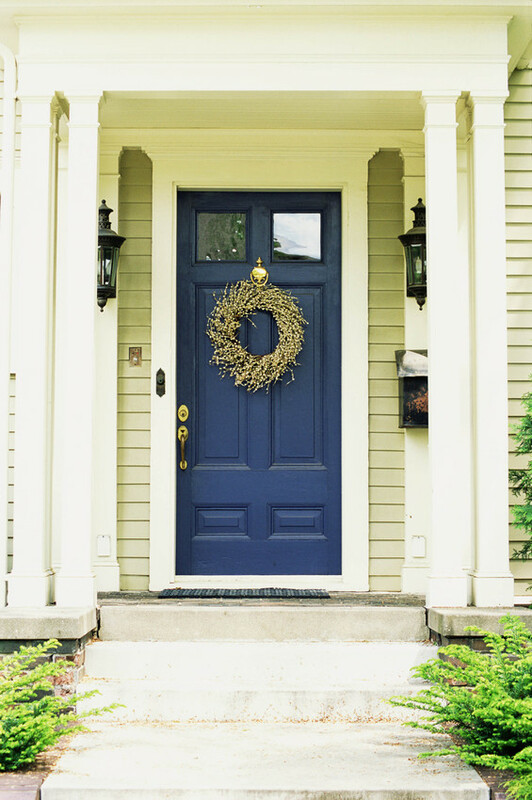 Be door daring—spruce up your home’s exterior simply with an interesting door color. Just be sure the color you choose, no matter how bold, complements your siding and trim color.